NEMO in collaboration with the National Meteorological Service hereby informs the general public that Tropical Depression Sixteen (16) with maximum sustained winds of 35 miles per hour recently formed off the coast of Nicaragua. 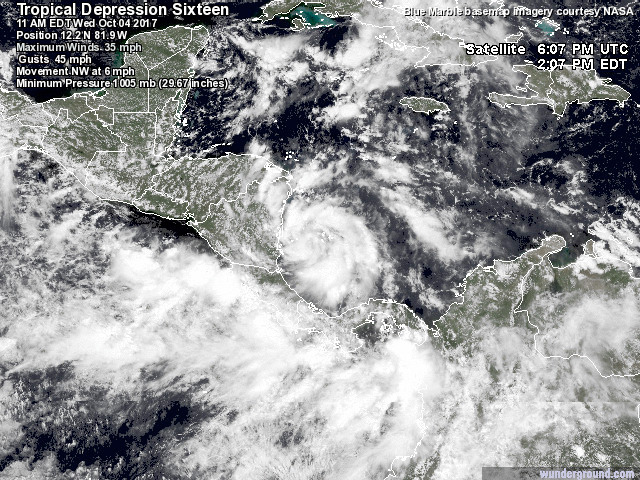 TD 16 is located at 12.2 North Latitude and 81.9 West Longitude. It is moving due northwest at 7 miles per hour. It is forecasted to continue move in that direction. 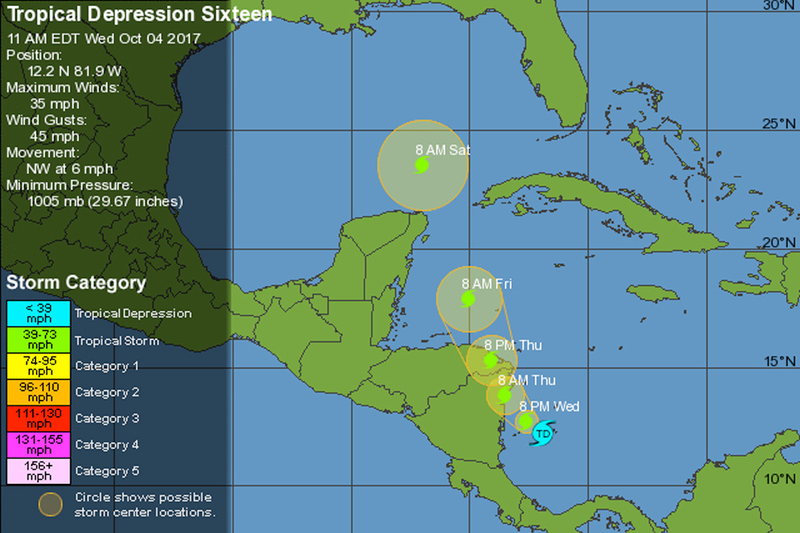 If it maintains its projected path based on that forecast it is expected to become a Tropical Storm and by Friday, October 6, 2017 it is expected to be east of Belize, or directly in front of us. Do not venture out to sea on Friday, October 6, 2017. 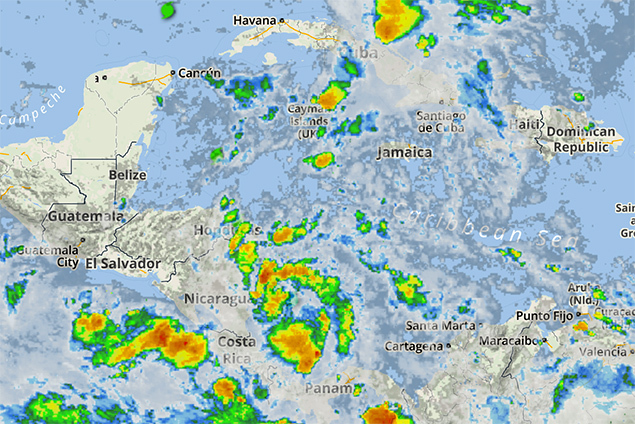 All Fishers and people on the Cayes are hereby strongly urged to monitor and track TD 16. (2) what the government and NEMO are doing and, (3) what actions the public are advised to take. They are not intended to predict what a tropical cyclone will do and where it will go.